Ubud is a special place, and Bisma Eight is an equally special hotel. Its jungle setting, creative food and range of activities make it a great choice for your stay in Ubud, Bali. 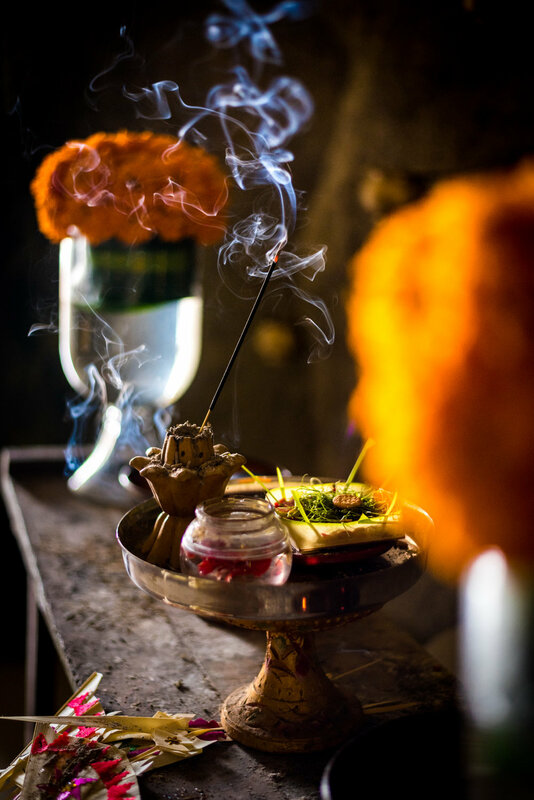 We have been to a lot of special places over the last few years, but without doubt, Ubud is one of the most magical. Nestled amongst lush jungle, it has long been the cultural capital of Bali (an island overflowing with culture) and local traditions have been augmented by an infusion of expats who bring their own ideas and color. Its people are kind and caring, while its food is always tasty, fresh, and international in its outlook. There is plenty to do, so you will never be bored, but at the same time Ubud’s relaxing atmosphere also makes it the perfect place to do nothing. The natural beauty surrounding it is the icing on the cake – in short, Ubud is breathtaking. Chris and I have visited Bali a few times now, and always make sure to spend some time in Ubud. There are a variety of accommodation options available, from luxury hotels to cheap and cheerful homestays, and by this point we had tried out a few. 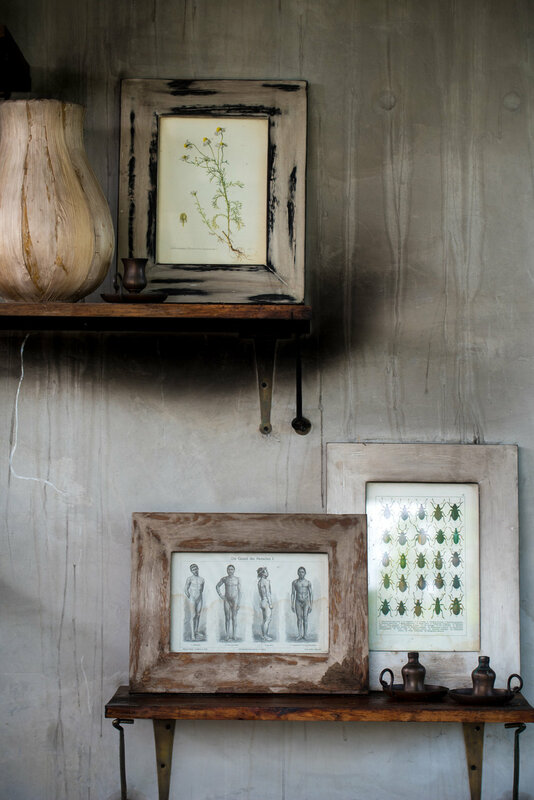 But this time we were looking to visit one of Ubud’s newer properties – Bisma Eight. A standout boutique hotel, with a clear passion for design, Balinese culture and a fantastic location – it looked like just the place for us. That location didn’t disappoint. Ubud is not one settlement, but a collection of villages which have grown together to form the town that exists today. Its center has grown up around the Palace, where one of the kings of Bali made his home. Due to its spread-out nature, it can be easy to book accommodation far away from the action, but being just minutes from the center, this was not a problem at Bisma Eight. Its location manages to combine centrality with a jungle aesthetic, being situated on a small lane which runs parallel to one of Ubud’s busiest streets. As we settled in and had a chance to look around, we discovered that Bisma Eight is a lesson on well thought-out architecture. It is a modern, concrete affair, which contrasts with the jungle surrounding it. The two elements do not clash, and the juxtaposition highlights the best features of both. Stark grey walls mesh with bright green trees, and the stylish infinity pool gives way effortlessly to the jungle of trees beyond. Most of the common space is open air, and filled with plants and minimal (yet comfortable) furniture. As you walk around it, the smell of incense follows you. We stayed in one of the Canopy Suites, situated on the second floor of the hotel. Between the combination of style and comfort, we were completely blown away by our room. The design was full of modern touches, but also had “jungle” influences with wooden floorboards and sliding doors. It had everything we needed as well as some extra special elements, like the Japanese onsen tub in our bathroom. In the main room was a large and comfortable seating area which was perfect for relaxing or doing work. Outside, the balcony overlooked the courtyard, full of trees. If the rooftop lets you look out over the jungle, our balcony gave you the feeling of being completely immersed in it, and it was the perfect place to enjoy a morning coffee. There are only 38 suites in the hotel, so even at full capacity there are a small enough number of people staying to make it feel like you are having your own private retreat in the jungle. One place where you are guaranteed to run into other guests however, is the restaurant. The Copper Kitchen and Bar is located on the hotel’s roof, and thanks to the excellent food and dramatic forest atmosphere, it is always busy. Chef Ben McRae, has created an exciting menu that mixes local Balinese dishes with international ideas to great effect. We loved the tuna tataki (served with papaya salad), as well as the fried tempeh goreng and salmon. The quality of the food was matched by the drinks, and the cocktails list was full of interesting options. Chef Ben is also a beer connoisseur, so there is a selection of craft beers available (not a common thing in Bali and a welcome change from the ubiquitous Bintang). Breakfast was varied, allowing you to go as light and as fresh as you required. I went for smashed avocado and toast most mornings, while Chris stuck to his favourite – granola and yoghurt. Just to prove that they have really thought of everything when it comes to drinks, there was even a mixologist present who would create delicious and healthy juices to go with it (I recommend the apple, beet, and carrot!). Of course, it’s always great to stay in a hotel that offers all these tasty delights, but how many let you learn how to make them yourself? At Bisma Eight you can do just that, as they offer both cooking and craft cocktail classes. The cooking class was with Chef Ben himself, who turned out to be great fun as well as talented in the kitchen (he even let me use his fancy knives). He taught us how to make the tuna tataki we had enjoyed so much, as well as a Balinese take on ceviche. The class took place up on the rooftop, and after learning how to make the food, we got to feast on it while enjoying the view. The cocktail making class was just as much fun, and we learnt to create some of the craft cocktails for which the bar is famous for. The bartender was a good teacher, and we spent a relaxing afternoon making (and drinking) beverages. These are not the only things on offer however, and during check-in we were given a full overview of the activities available at the hotel. Aside from the food and drink classes, they had yoga, traditional Balinese dancing (I had a go and let’s just say I was not quite as graceful as the local women were), and even lessons on how to make the spirit offerings found outside every building. Perhaps the best activity at Bisma however, was simply enjoying the stunning infinity pool. The way it seems to extend right out into the uninterrupted forest was remarkable and as it faced westwards, it was the perfect place to watch the sunset. We could usually be found there in the evenings, floating around with a coconut in hand, watching the sky light up with color. With all these things to do, it would be easy to forget that the whole of Bali was there to explore outside. With the hotel’s forest location, you could also easily forget that the center of Ubud is just a few minutes walk away! You are spoiled for things to do, and there really is something for everyone. If you want to experience some of the high culture for which Bali is famous, you can visit the Palace or see one of the traditional theatre shows that are performed all over the town. Ubud is also packed with temples, with two of the best being the Lebah temple (just over the Campuhan bridge), and the water temple with its scenic lotus ponds. Nature lovers will love getting out into the surrounding countryside, and you can’t miss Tegalalang Rice Terrace, (one of my favorite picture spots in Bali). If you are feeling brave you can visit the monkey forest (just don’t bring any valuables, and be prepared to let them climb all over you), or alternatively you can just enjoy the excellent range of bars and restaurants which line Ubud’s streets. So whatever you do, make sure to get out at least one day and explore Ubud. Everything from the remote mountains of the north, to the bustling nightlife of Seminyak can be reached in just a couple of hours. Drivers are extremely affordable and easy to hire, and I wouldn’t leave Ubud without spending at least an afternoon driving around. Bisma Eight can coordinate a day out for you, so take advantage and let there team create a route that hits everything you want to see. We couldn’t have been more excited to stay at Bisma Eight. Its reputation is justified, and it is a pretty special place. Its big draw will always be the forest view and the infinity pool that overlooks it, but every other aspect – from the food to the activities – exceeded our expectations. Add in the location, and you have yourself a great hotel. I don’t think anyone would dislike staying here, but its romantic setting make it a particularly great place for couples. The privacy afforded by its small size, will make you feel like you have your own private villa in the jungle.